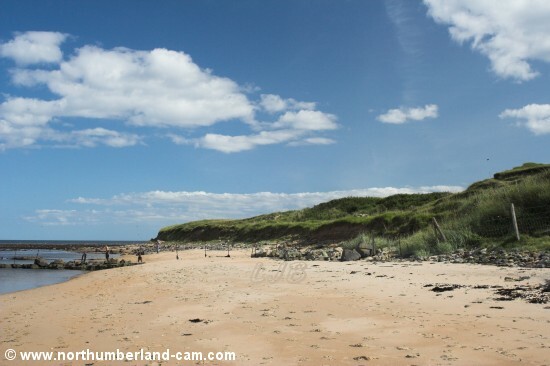 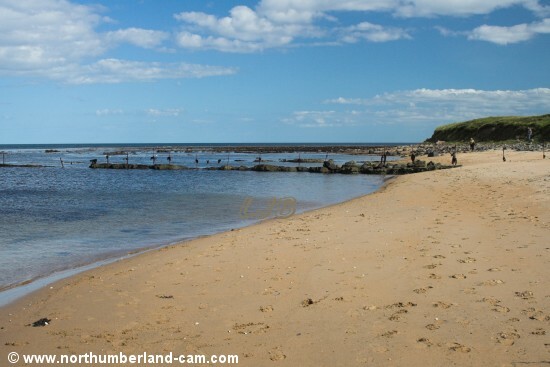 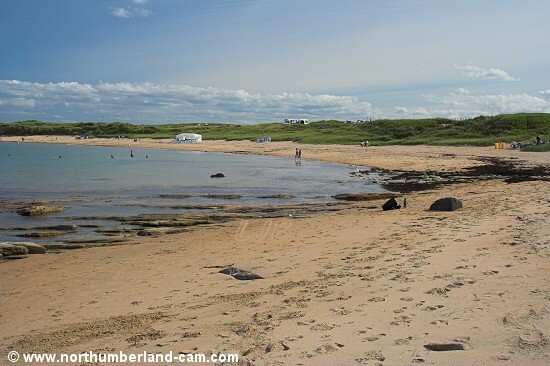 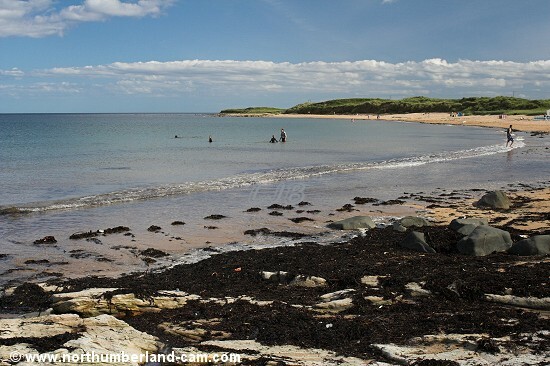 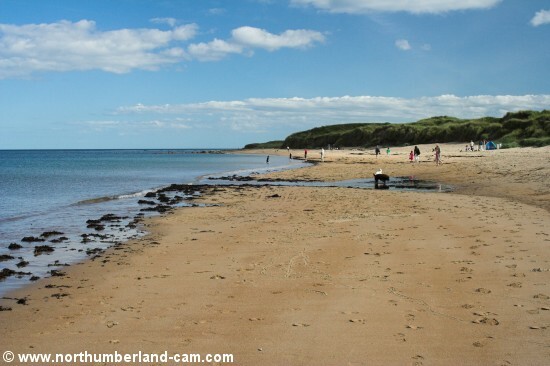 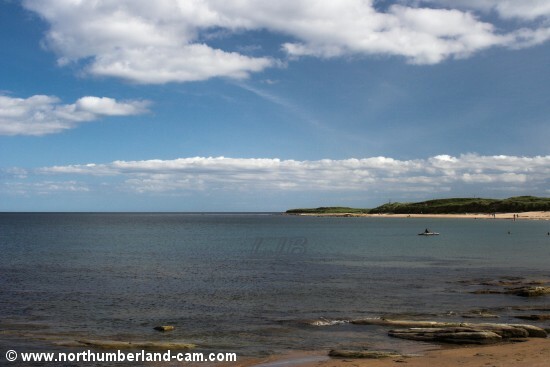 This lovely small beach is between Boulmer and Howick and is reached on foot from either locations or by road from Longhoughton. 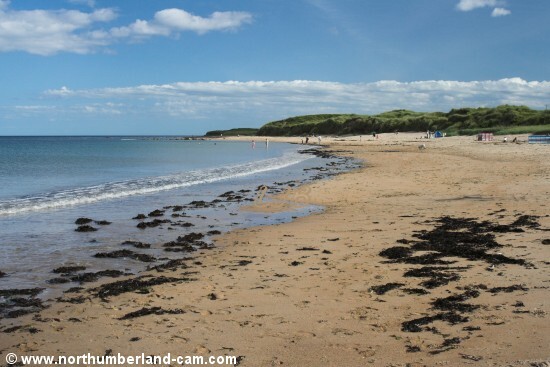 Like nearby Sugar Sands it is a secluded but popular beach. 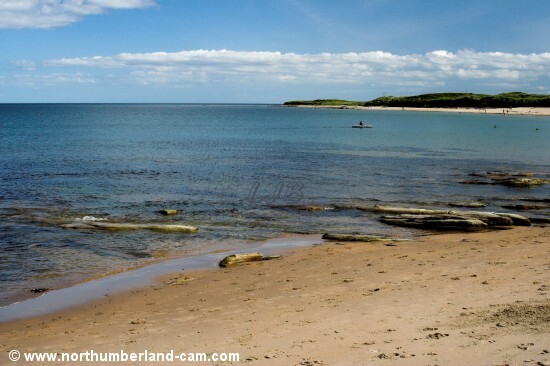 View to Longhoughton Steel from Howdiemont Sands. 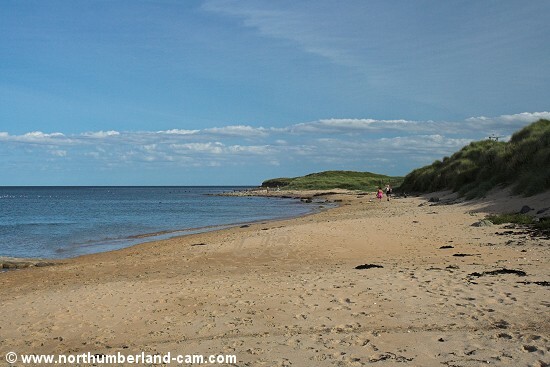 Beaches are listed in columns north to south along the coast.